This lists all the plants we grow by their Genus name. Choose a Genus or you can scroll through the photos sorted A to Z, and click on any plant to find out more about it. You can also sort the plants in any Genus by Plant Type or Garden Style to help you choose the best plant for your needs. This groups the plants that grow in a similar way together. From the Plant type description you can choose the best group of plants for your needs, decide on a size and we will show you the plants that match. The photo and plant details give you the information to make a good choice. You know how you want your property to look, let us help you choose plants that will help achieve this style. Choose that style that best meets your needs, then look at the plants we think work well within this style. Search for a plant by typing in the botanical name, or choosing a letter and viewing photos of plants starting with that letter. You can also choose from the dropdown list of the Genus we grow. You will then see the range of plants we grow in that Genus. You can then to view them alphabetically, or sorted by Plant Type or Garden Style. 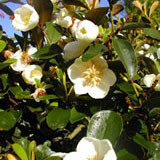 Find a suitable plant for your garden by choosing a plant type, ie. 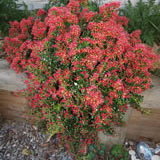 Shrub from the dropdown list of Plant Types. You then choose which size category will be most suitable for you. You can then view them alphabetically, or sorted by Garden Style. 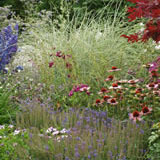 Find a suitable plant to give you the garden you want by choosing a Garden Style, eg. Paradise from the dropdown list of Garden Styles. You can then choose to view the plants suitable for that style alphabetically, or sorted by Plant type.